A year ago I made a big move, and switched to using Sketch as my primary design tool instead of photoshop. When I wrote my article about moving to Sketch it received tons of feedback and you could say it went pretty viral. Some comments were supportive, and some were very disparaging. I remember one of the comments in particular: “I can already see your post in a couple months ‘Why I left Sketch and went back to using Photoshop’”. Then it hit me: What if I might be wrong about moving to Sketch? But, then again, what’s wrong and what’s right? I thought it was the right tool for the job. So now, one year and hundreds of artboards later, I would like to present to you the following honest and straightforward review. The ups, the downs and everything in-between. TL;DR: Our design team tried to go back to Photoshop but found Sketch was still better for UI design. Plus, I personally believe in Sketch’s future and see it happening in front of my eyes. Sketch has bugs so old that Richard Attenborough is trying to get the DNA out of them to create a Sketchasurus, and from what i can tell they aren’t planning on solving them anytime soon. Most of these bugs only happen part of the time, so it only makes you throw out some swear words or yell out to the high heavens in the middle of the office and promise yourself that the next time you will go back to photoshop. When you type, sometimes, your whole sentence disappears as of a rendering bug, and only re-appears after you finish typing. Sometimes I can bring in screenshots to my designs (copy paste them into my Sketch doc) and the next day I come and the images are gone. Just gone… no way to find them again unless I’ve saved them somewhere on my computer. But as I’m trying to work fast I don’t save screenshots, I just cmd+ctrl+shift-4 (copy paste) them into my designs. I’m talking about stuff like favicons, app icons etc. CMD+Z doesn’t seem to work right. It’s slow and doesn’t respond as fast, so sometimes you even click twice or 3 times and it won’t work, and sometimes you would click twice or more and it will (with a delay) go back like 3 steps too much. It still isn’t smooth like “forward” and “back” in Adobe apps. Sketch has Autosaves and Version control, but both make a medium-large size Sketch document really slow. So I found a way to disable autosaves and versioning, but now whenever my Sketch crashes (which is about once or twice a week) I lose everything I did not save. We had a specific bug in Sketch on the team that drove us crazy, and Sketch support was so unhelpful in solving the issue. So then it happened, in the midst of our frustration, we decided we want to try and move back to Photoshop. 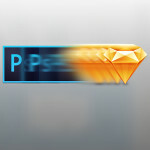 We launched photoshop to start a project, but after a 25 minute session (in which we can say we pretty much enjoyed since we were real Photoshop geeks before moving to Sketch), we decided that Sketch still feels better for UI design. I know what you’re thinking… 25 minutes is not considered giving PS a real chance. I agree, but still, that’s all it took for us to say “Nah, this doesn’t feel right”. In those 25 minutes we tried to import an SVG into PS and of course we got reminded that PS does not open SVGs, we tried exporting something and the drag-and-drop was just not there for us (and no, not any right click on a layer in the world would replace that). We also tried to change some colors of a few layers and the fact we did not have ctrl+C available (the ink dropper) felt primitive. It just felt like the amount of clicks that it takes you to perform a task in Photoshop takes you in about half the clicks in Sketch. So we decided that Sketch, with all its bugs, still feels more right for us. Its not just about what Photoshop does not have, it’s about what Sketch does. Sketch is going to be way more connected to data. code and development as I see it. I find it funny that the global design community is giving such a big round-of-applause for the new artboards in PS. While the Adobe team is working on features that Sketch already has, the Sketch community is working on an amazing plug-ins to combine real live data and integrate code into Sketch. Sketch Squares lets you replace or fill layers with photos pulled directly from Instagram. Btw Instagram coded their own set of Sketch plugins to fit their needs. Content Generator lets you fill out your designs with names, bios, photos, avatars, placeholder text, and more. These are just a few that have been released in the past year. 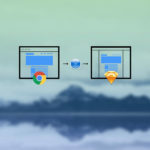 One of Bohemian Coding’s team members, Ale Muñoz opened a mailing list for developers creating Sketch plugins, and on their website you can also find extensive documentation to write those. This creates an easy way for the community to code amazing plugins, and that – I can say – the Bohemian Coding team has been maintaining very well so far. Sketch has no intention (as far as I know) to get into photo editing capabilities. This means you have no way to even create a isometric mockup or any device mockup for that matter. So you have to use Photoshop or any PS alternative. Lots of people use Pixelmator instead of Photoshop, and did anyone say Affinity Photo? But then we are stuck with no alternative to Indesign for business cards and print layouts. Indesign is IMO Adobe’s most impressive app. It’s built so well for layout purposes that it would be super hard to bring on it any competition. Its amazing for any paper-based design as well as digital PDF presentations. I hate to say it, but I think there is no way to get out of Adobe’s paid subscription loop just yet to be able to work as a designer in a professional environment. Indesign alone is only $20 a month, but it’s still a lot for only one app (and as a UI team we don’t use it so often so we’re trapped in a paid subscription loop in that sense). Just before I wrap it up (and I know this is clearly a subject that should be covered more extensively in another post), I want to talk a bit about my vision of what the design community needs. I think that as of today UI design has no actual really good tool for the job. Even in Sketch, there is a clear disconnection between CSS (or Swift for that matter) and the UI of the app. Object oriented design: Today we look at a design as elements with a state to each element. Design tools should see it like this and make the app let us design a set of elements with different states, that can be later brought into our pages design. Photoshop smart objects, and Sketch symbols can be used in weird ways to try and create this, but it’s always a problem when getting into big projects. A UI of the app that fits the code (for instance CSS or Swift will have different ways to handle styling). The design app with all those should still allow easy design experimentation with the elements in a way similar to how Indesign is using text/paragraph styles. Modern Design Tools articles by Josh Puckett (Product Design Lead at Dropbox). Designer, desperately looking for Scalable design tools by Benjamin Berger. Sketch is the tool that we have chosen for our team, and prefer it over any other. It’s simple yet powerful, and although has a lot of bugs it still gets the job done faster and smother with its UI design-oriented set of features and its strong community that keeps taking this tool forward. Share your thoughts. Are you a Sketch user? or a Photoshop user? or maybe some new program i haven’t heard of yet? P.S. Sign up for the HackingUI newsletter if you want to receive the next articles directly to your inbox. Special thanks to Noam Liss who helped in editing this post! Be sure to also read his latest post: “Does Design Even Matter“.